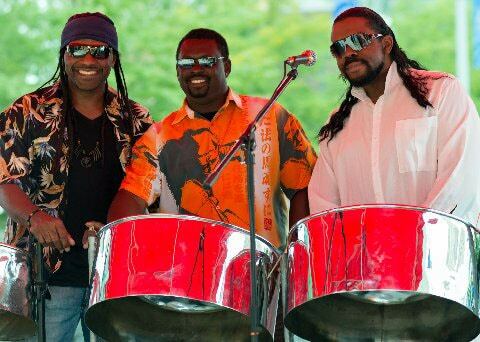 The steel drum is a round piece of metal, mounted over an open resonating compartment and tuned by hammering out different areas to different thicknesses so that they sound specific pitches when struck. Its ultimate roots lie in one of the clandestine remakings of African cultures carried out by slaves all over the Western Hemisphere: when the British banned drums in Trinidad, black islanders began to play tin cans, barrels, and tuned bamboo sticks in groups called Tamboo Bamboo bands. In the 1930s Winston “Spree” Simon began experimenting with the top of a cookie container, then the top of a paint can, and finally, during World War II, the top of a fifty-five-gallon drum discarded by U.S. servicemen. What can I say…yesterday was EPIC! 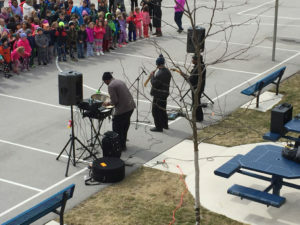 The energy One World Island brought to our school was infectious, and the music was AMAZING!!! Our students and staff had such an incredible time! Please let the band know how much we enjoyed their performance. Thank you! HI Dean, Carlton was wonderful, had all sorts of raves and reviews about him and his partner, I would highly recommend him. 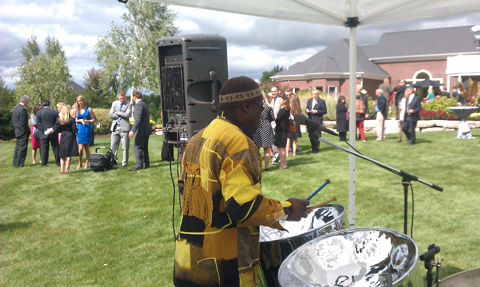 Steel Drum Band Duo for a 50th Wedding Anniversary! Dear Mr. Rusch: I would like to thank you for the tape and all of your help. 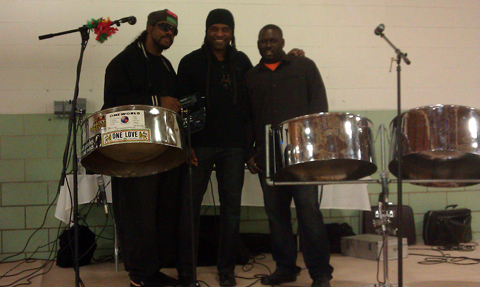 The “One World Steel Drum Band” were very much enjoyed. 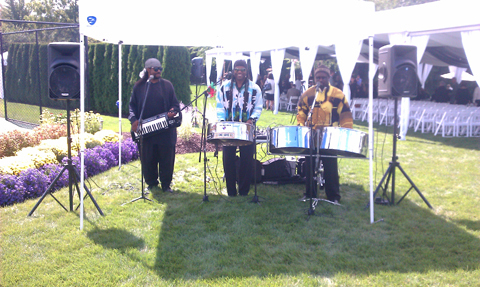 Our company picnic was a nice success and he band was a nice surprise for everyone. 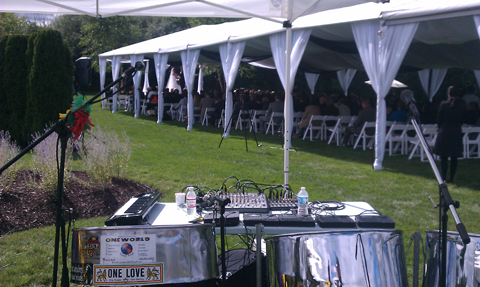 One World Steel Drum Band, You guys rocked our wedding! Thank you guys for being the best! 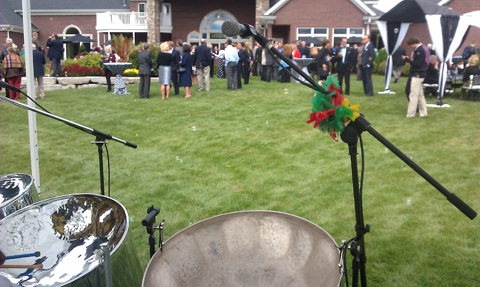 Everyone keeps talking about how wonderful the band was! It was great! Thank you for all you did! Their overall appearance, attitude, and performance were excellent!